Do you need to send your client a shiny PDF with your project's progress? Do you want to print out last month for your review meeting? 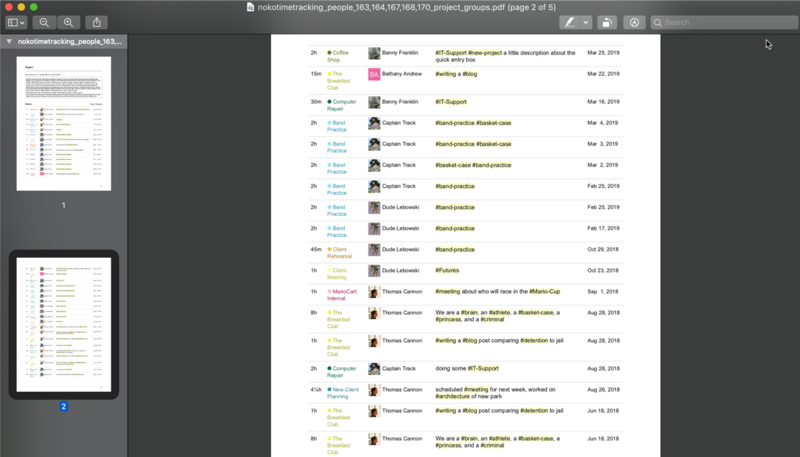 It's literally takes one click to generate a PDF from any report in Noko. There's no step 2. Yes really! Just wait a few seconds for your browser to download the PDF, and you're done. 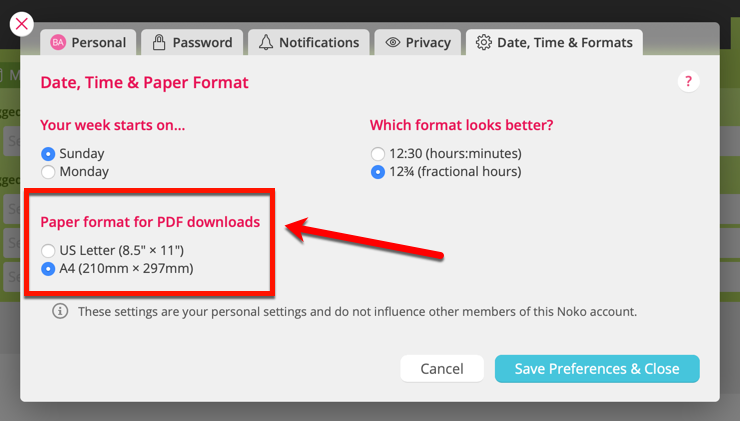 Note: If your report is very large, Noko might not allow a PDF to be created. If that happens, try to slim down your report by specifying a shorter time frame. By default, Noko generates PDFs in US Letter format (because we make our home in beautiful historic Philadelphia!). If you're metrically inclined, you can easily change this to A4 in your personal settings.